Terrific news, art fans! 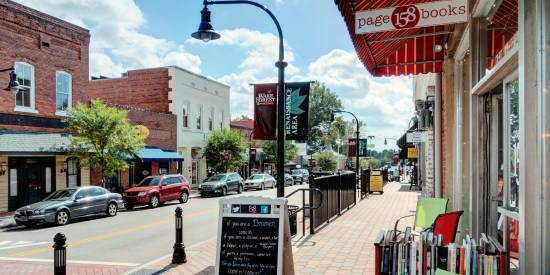 Two new exhibits—one featuring stunning works from Georgia O&apos;Keeffe alongside work from other contemporary artists, another displaying technical masterpieces from photographer Candida Höfer—are set to draw thousands of visitors to Raleigh, N.C.&apos;s North Carolina Museum of Art this fall and winter. The Beyond: Georgia O&apos;Keeffe and Contemporary Art will be ticketed in conjunction with Candida Höfer in Mexico—both exhibits open on Sat., Oct. 13, and run through Sun., Jan. 20, 2019. Georgia O&apos;Keeffe (1887-1986), one of America&apos;s most well-known and influential artists, is internationally recognized for her revolutionary ways of visually interpreting the world. Through her early embrace and innovative use of abstraction and color, she became know for her paintings of larger-than-life flowers, city skyscrapers, desert landscapes and more. The Beyond: Georgia O&apos;Keeffe and Contemporary Art brings together more than 35 of O&apos;Keeffe&apos;s works as the centerpiece of an exploration of her continued force as a touchstone for contemporary art. 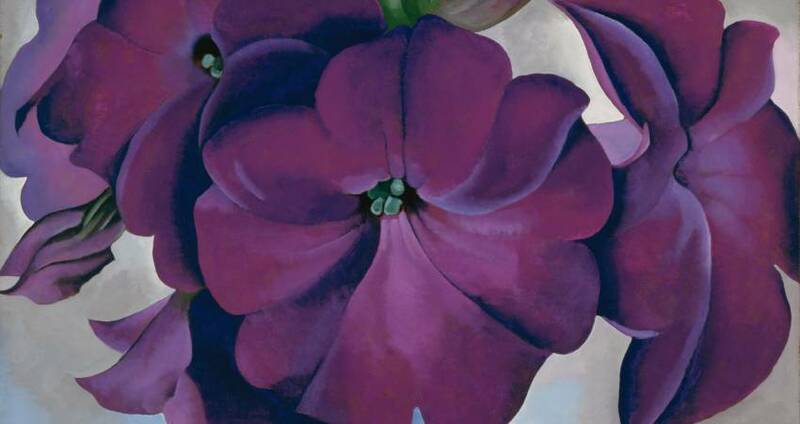 Seen in the header photo on this page is Petunias, 1925, an oil on hardboard painting by O&apos;Keeffe who originally began to paint the flowers she&apos;s so often associated with in response to (and in contrast of) the growing New York City landscape that she was living in at the time. In 1949, a permanent move to New Mexico influenced the desert scenes that she is also well-recognized for (many of which are on display for this exhibit). Alongside her work, The Beyond features sculpture, photography and paintings by emerging contemporary artists including Louise Jones, Anna Valdez, Caroline Larsen and Britny Wainwright, who evoke and expand upon O&apos;Keeffe&apos;s innovative artistic language. 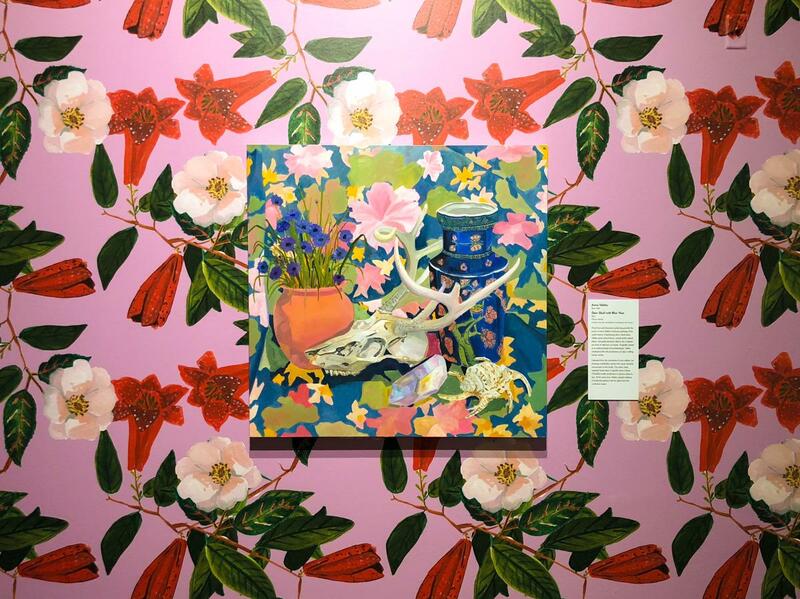 Pictured above is Anna Valdez&apos;s Deer Skull with Blue Vase, 2017, an oil on canvas painting that captures the casual, dynamic environment of her studio—a theme seen throughout the artist&apos;s work (and echoing O&apos;Keeffe&apos;s similar investment in rigorous observation). 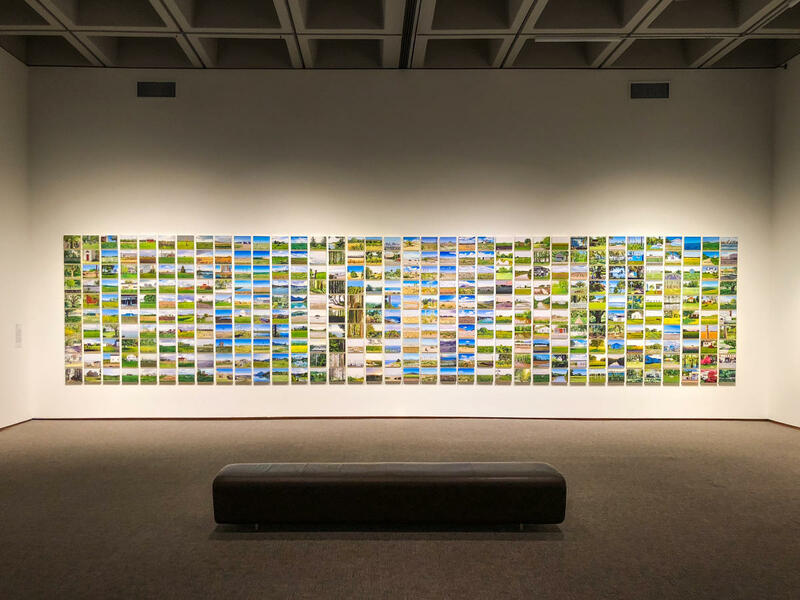 Below is Light Atlas, 2015, by artist Cynthia Daignault, consisting of 360 paintings—one marking every 25 miles along the artist&apos;s 2014 road trip around the U.S. The result is a 360-degree view of America that depict the expansiveness of the landscape through accumulated experiences rather than depending on a single image to stand for that idea (the paintings, oil on linen, can be arranged in any number of ways but are always displayed together as one piece). The hallmarks of Georgia O’Keeffe are seen anew through their influence on artists working today. The Beyond presents a conversation between some of O’Keeffe’s most important works and the work of 20 emerging artists, selected for their individual approaches to some of O’Keeffe’s powerful themes, including flowers, bodies, still lifes, skyscrapers, desert landscapes and the delicate interplay between realism and abstraction. 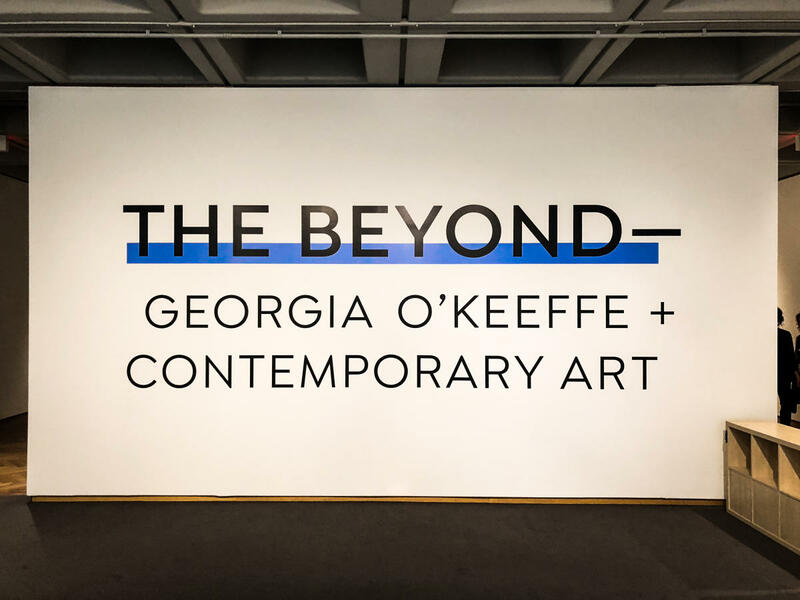 The Beyond introduces audiences to a new generation of American artists, providing a fresh look at O’Keeffe through the lens of contemporary art. 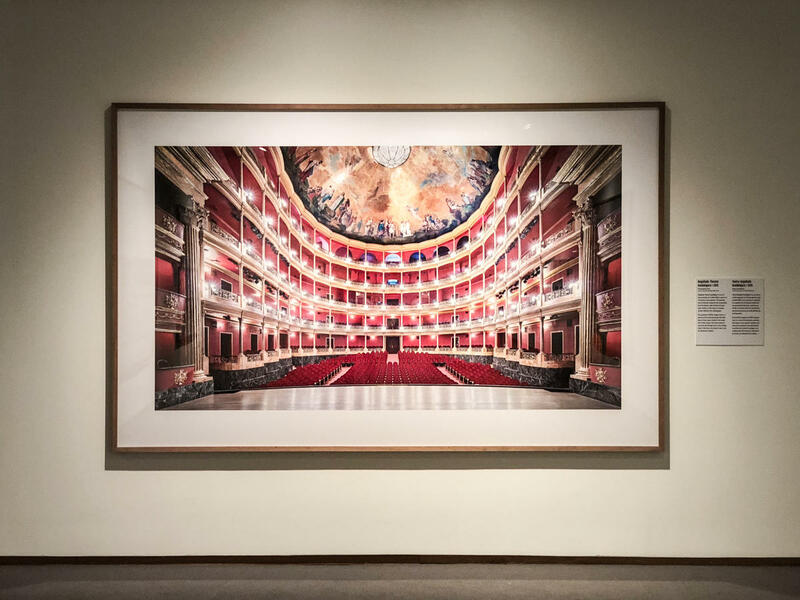 For decades, German photographer Candida Höfer (born 1944) has made “portraits” of iconic buildings around the world, including the Louvre in Paris, the Uffizi Gallery in Florence, La Scala in Milan, Villa Borghese in Rome and the Hermitage Museum in St. Petersburg. Höfer’s technical mastery of composition, light and symmetry offers viewers a glimpse beneath the surface, toward the heart and character of each place, in visually-stunning, monumentally-scaled photographs of the world’s great architecture. In 2015 Höfer turned her camera, and her interest, toward Mexico. This exhibition features 25 large-format photographs of magnificent interiors of libraries, convents, theaters, churches and museums throughout Mexico. For Höfer, these structures encapsulate the essence of Mexican culture, covering an impressive timeline of 600 years from the 16th century to the 21st. Seen above is Degallado Theater Guadalajara I, 2015, a chromogenic print. Tickets to see both exhibits are $18 for adults; $15 for seniors, military, college students with ID, groups of 10 or more; $12 for youth ages 7-18; and free for children age six and under. 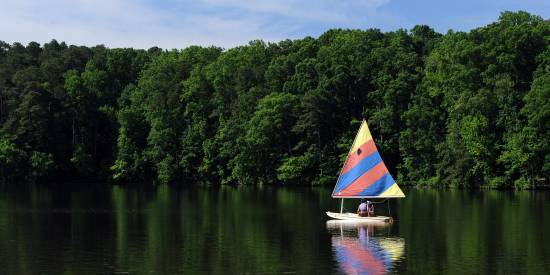 The North Carolina Museum of Art is open Tues.-Sun., 10am-5pm (open until 9pm on Fridays).